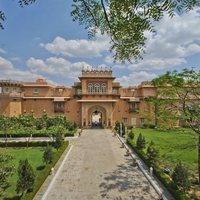 Jaipur or the Pink City, as it is popularly known is a very popular destination, and it is easily accessible by road, air and by train. This beautiful city is about culture and history with majestic forts, palaces, and old havelis. Jaipur is a place you can go to again and again, and still not get bored of it. There is just so much to see and do here. 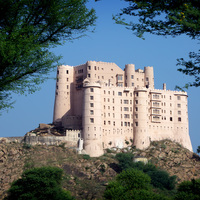 Sightseeing options are innumerable with so many forts, monuments and palaces spread all over this region. There is no dearth of accommodation options in Jaipur, and Cleartrip can help you book what you want to make your stay comfortable. 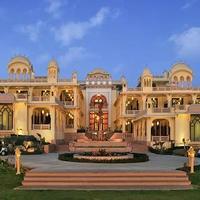 If you want a taste of royalty, then you must stay in one of the many superb 5-star hotels in Jaipur. If you get done with the sightseeing, exploring the colourful bazaars of Jaipur are a must. 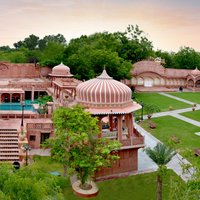 If you think that the wonders of Jaipur stop here, think again. Rajasthani food is delicious. You must try the various delicacies of the local cuisine. 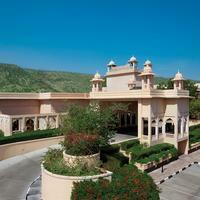 From sightseeing to shopping and incredible food, Jaipur has it all. The list is never-ending. 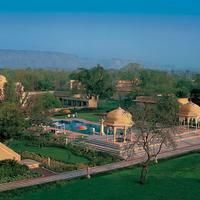 Jaipur is ideal for a weekend getaway or even a longer vacation since there is just so much to do here. 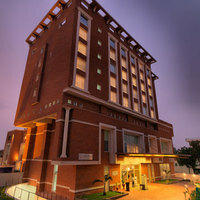 Jaipur has accommodation options to suit all budgets and requirements. 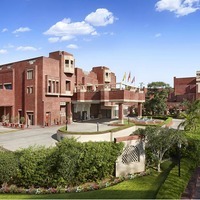 If youre looking for a vacation that will leave you feeling relaxed and pampered, then you must surely check 5-star hotels in Jaipur listed with us. 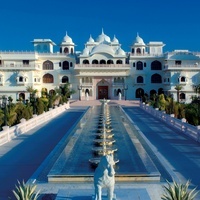 Palaces and forts have been converted into beautiful, opulent hotels and are the epitome of luxury. Richly decorated rooms, which make you feel like a king and provide all the facilities you need to be comfortable are easily available. 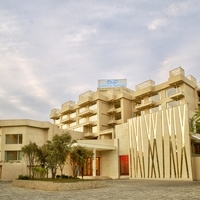 You will also find modern and contemporary 5-star hotels in Jaipur offering world-class facilities. These hotels offer 24-hour room service, facilities for the disabled, internet services, travel desk and guide services and much more. They also have business facilities, such as audio-visual equipment, fax machine, scanner, photocopier, etc. 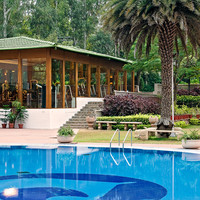 Recreation facilities like a swimming pool, massage centre, sauna and steam, spa, fitness centre are the norm of these 5-star hotels. Some of these 5-star hotels also offer babysitting services, so you can enjoy a quiet evening with your loved one. The staff at these hotels is well-mannered and polite, and try their best to carry out any requests you may have. 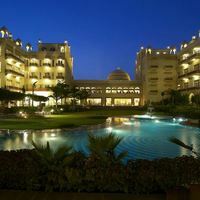 5-star hotels pamper you so that you can get rejuvenated and refreshed from your vacation. Book with Cleartrip and get incredible deals! 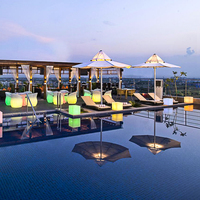 At Cleartrip, we offer amazing deals and offers on online hotel bookings. Plan your trip in advance so you can avail of these discounts and get an excellent deal on your hotel bookings and even cashback offers. Search the listings on Cleartrip according to your choice of location. 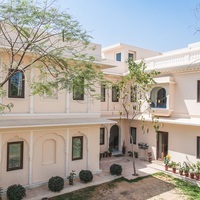 You can stay in the main city with the hustle-bustle of the market around you, or you can stay on the outskirts of Jaipur, which will be calm and serene. You can also choose the facilities you require. 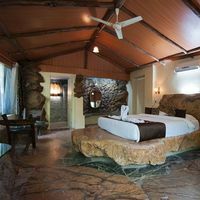 The Cleartrip website is extremely user-friendly and will help you book the perfect hotel for you. You can also check the customer reviews before you confirm your choice. 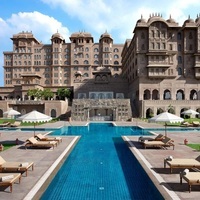 One of the popular options is Fairmont Jaipur . 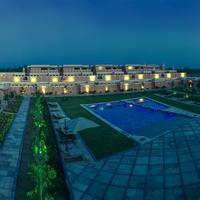 It is a luxurious resort located on the outskirts of Jaipur, 8kms from the magnificent Amer Fort. 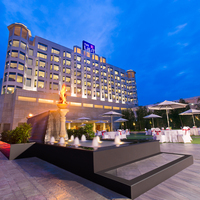 Radisson Blu Jaipur is also popular with tourists because of its proximity to the city centre. 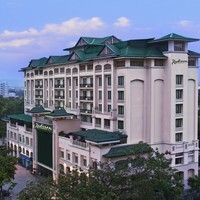 ITC Rajputana, A Luxury Collection Hotel is another luxurious hotel. 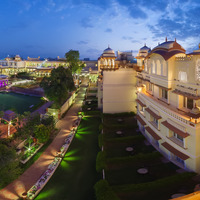 Book your hotel in Jaipur with Cleartrip and create some beautiful memories that will last you a lifetime.